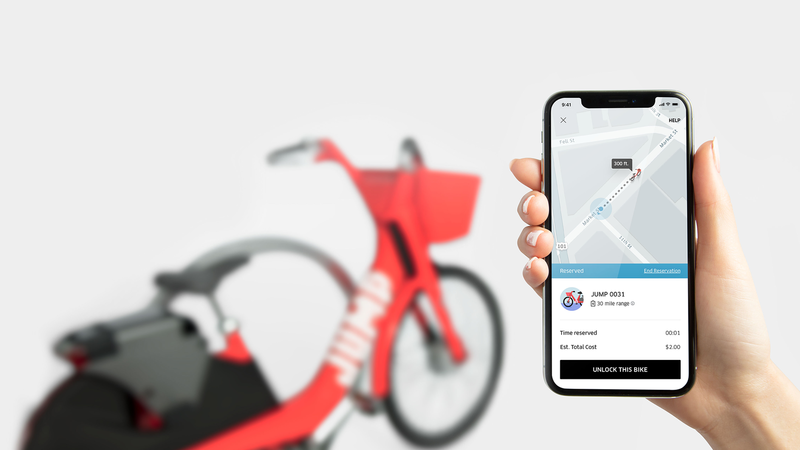 Uber has agreed to acquire Jump Bikes, an electric dockless bike-sharing company with which it partnered earlier this year. Why it matters: Uber has well-known aspirations to go beyond cars, and bike-sharing has gained traction as a "last-mile" transportation option in dense cities. Jump is currently the only company with a permit to operate a dockless bike-sharing service in San Francisco, aside from the Bay Area-wide Ford GoBike service. Background: Founder Ryan Rzepecki first got the idea to start a bike-sharing company in 2008, which was then named Social Bicycles. It had deployed more than 15,000 bikes in more than 40 markets, including outside the U.S., and recently raised $10 million in Series A funding from backers like Menlo Ventures, SOSV and Esther Dyson. Market view: Other dockless bike-sharing companies include Ofo ($1.4 billion in total funding), Mobike (just sold to Meituan for $2.7 billion) , Spin ($8 million raised), and LimeBike ($132 million raised).